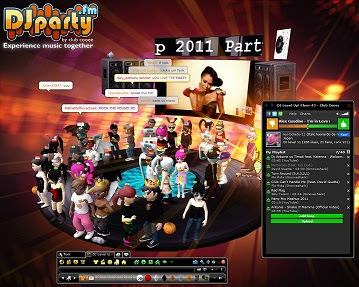 Hey, I just discovered this awesome 3D international chat community Club Cooee where you can make your own 3D Avatar, listen to music, become a DJ by sharing your favorite songs from Youtube, SoundCloud and Grooveshark, play games, chat, flirt and get to know really cool people from all over the world. More than 150’000 people already like Club Cooee in Facebook and I am one of them, so why don’t you give it a chance and explore gorgeous 3D world, you can start your 3D journey here. Read more about Club Cooee in our 3D Internet and Webdesign Agency YOUin3D.com GmbH news post.